i have an ihphone X with 64GB of storage and 200GB of icloud storage. as you can see bellow both of them have still available space. Unfortunatelytely the "iPhone storage full, can't take a picture" notification still pops up. i tried workig something out via mac but nothing changed, also my iCloud storage says it's at 1% deespite the fact it has 114GB left... Can someone help? That is iCloud online storage and not the actual device storage. You need the storage on the device to take a photo. Check it in Settings -> General -> iPhone Storage. The iPhone itself has a fixed hardware memory, or space, which can only be chosen when you buy it, in 8, 16, 32, 64, 128, or 256 GB configurations. The total you see in Settings > General > Storage will never be quite this figure, as some of that is needed for the formatting of the memory & the data structure itself. This memory is where it stores all apps, music, documents etc that your phone can use. Not the answer you're looking for? 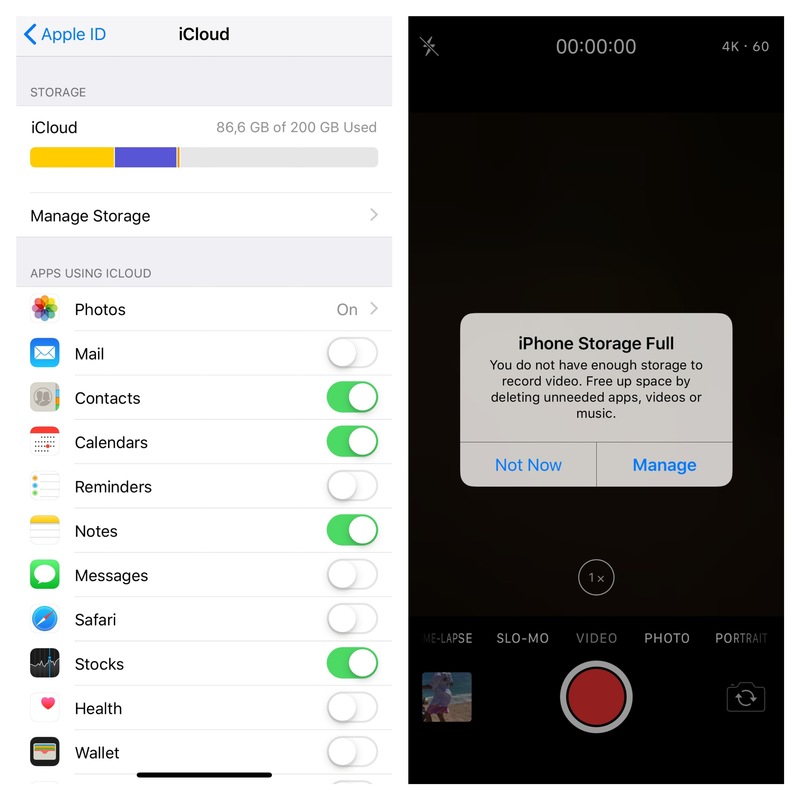 Browse other questions tagged ios icloud photos video storage . Best way to clear up space and dump to computer when getting iCloud storage backup prompt? 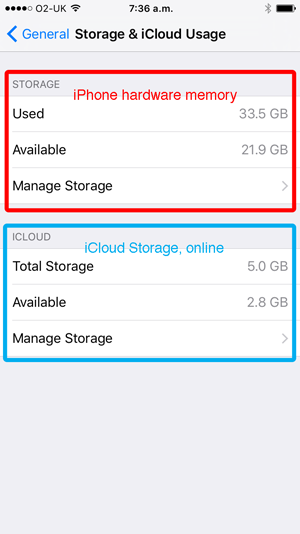 Mac storage is full but iCloud is not, what to do?